If you're seeking AFRICAN WEDDING VIDEOS who are capable of satisfying your video production needs at a reasonable price then you've come to the right place. 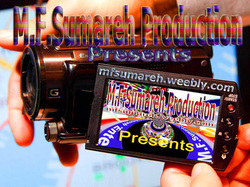 Here at 'M.F.Sumareh Production' we specialize in (Hi-Def) video taping weddings, African wedding cinematography, special event videography, web video marketing, legal videos, video depositions, business meetings, seminars, symposiums, training films, real estate videos, promotional videos, industrial videos, commercial and corporate video production, using the latest digital video equipment. (3-CCD Canon GL2 cameras, Panasonic DVX 100A with 24p, Sony Pd 170 with low-level light capability, HD Canon XH A1 cameras 1080, using Premiere Pro based editing workstations and MAC with Final Cut Pro editing systems. )With our state-of-the-art cameras, high-quality microphones, wireless systems, and portable lighting we can tackle any project. We also provide wedding videos, web video marketing, Wedding slide shows, video transfers to DVD, photo montages, video editing, corporate and event Videography, along with lighting, sound recording equipment and expertise for independent filmmaking, live musical performances, concerts, and music videos.